Stripers love the summer! Eels in the grass, river deltas teeming with baitfish...stripers love to chase bait, particularly live. Mackerel: Early to rise and you're guaranteed to have a full live well. You just have to get out and get them before the seals do! Eels: Live sand eels make the best bait - but don't set the hook too early. Try the one one-thousand to three and then jerk after feeling the strike. Stripers like to swallow their prey head first - so you must wait to set the hook while they flip it around! Shad: These guys provide some of the best live baits for catching trophy stripers. Be sure to separate them with a collander container in the live well or other bait fish (like mackerel) will tear them up...or even eat them! Both mackerel and shad are oily fish - stripers love tasty bait! * Fish the out going tide, at night if possible. * Don't fish on weekends, too much boat traffic. * If the wind is blowing, might as well stay at home. * Head up river on the incoming tide. * Head down river on the outgoing tide. * Get the bait down to where the fish are holding. * Sharpen your hooks and bend the barbs down. * No poppers till after July fourth. 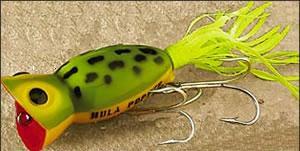 * Match the lure to the size of the bait fish, small lures can catch big fish. * Fish fast water like tidal rips near structure. * Fish slow water adjacent to fast like eddies, pools and behind breaks. * Fish structure, big fish are lazy and will shield themselves from the current. * Troll with the current, use torpedo sinkers with spoons and surge tubes. * Go often and experiment. * When these suggestions fail, try the complete opposite! Stripers are a blast to catch! Every state has their own regulations and restrictions. For example, in Maine, stripers must be between 20" and 26" in length or greater than 40". These regulations exist with regard to spawning and population concerns. If your catch is within angling regulations (e.g., it is a "keeper"), try gutting the fish, butterflying it, stuffing it with crabmeat stuffing, baking, and serving it to your friends with a big salad and a chilled bottle of pinot gris (or even a nice ale). Yum. Your friends will be impressed to dine on wild caught striped bass - the sale of which is illegal (except in MA in NY). You realize that you need a backup plan - like some frozen mackerel from the day before...but you are happy and satisfied that you caught one mackerel (and another unidentified fish yet to be named on EOL). Fish with ya soon!